The problem with most open world games is that one can become too overwhelmed by choice, and what initially seemed freeing can come to seem tedious. That’s why I could never get into Rockstar’s Grand Theft Auto IV; it felt like too much for too little. By the time Red Dead Redemption came around, though, they had realized that a strong lead with a strong plot could easily sustain numerous diversions. Amazingly, Arkham City is just as sprawling as Red Dead Redemption, if not more so (I keep stumbling upon entire sections of the game I had somehow missed). And when it comes to plot, whoo. Let me tell you, this is not a game that skips out on plot. If you’re a fan of the comics, you could argue that story-wise, there’s too much going on in Arkham City–but come on, this is a video game, so of course every member of Batman’s rogues gallery is going to pop up at some point. The gist of it is that Bruce Wayne, who’s campaigning against the asylum spilling into his beloved city, is kidnapped by Dr. Hugo Strange, who has been appointed by Mayor Sharp as the big cheese of Arkham City. Strange reveals that he knows you’re Batman, then throws you into Arkham, leading to a thrilling opening in which you actually get to play as a shackled, plainclothes Bruce. Of course, you’re the goddamn Batman, so you soon break free and head off into the city, becoming mired deeper and deeper in a turf war between Two-Face, the Penguin, and a Joker who finds himself ailing after his transformation into a giant ‘roided-out monster at the end of Arkham Asylum. Looking for information on Strange’s ominous Protocol 10, you track down the Joker and are injected with a sample of his blood, meaning you are both now confronted with the same death sentence. What follows is a story that becomes increasingly complex, not just in terms of narrative mechanics, but of morality, as well. For a superhero game, such a feat is miraculous. The question hanging over every great Batman/Joker story has always been, “Why doesn’t the Dark Knight just kill the Clown Prince of Crime to prevent the needless death, destruction, and mayhem that he will inevitably cause in the future?” Given that you’ve been poisoned, it is of course in your best interest to find the cure, but the game does not shy away from posing that eternal question in as haunting a fashion as possible. I am being entirely serious when I say that, if you focus mainly on the primary plot with the Joker and Strange, including later developments involving the League of Assassins, Arkham City is one of the best Batman stories anyone has ever told. Even when you take into consideration all of the various supervillains and sidequests, it’s incredibly entertaining stuff. Given that it was written by Paul Dini, who helped define the modern takes on both characters as part of the team behind Batman: The Animated Series, I guess that shouldn’t come as much of a surprise. I would be remiss if I didn’t mention the voice acting. While some of it is standard video game stuff–I’m looking at you, Grey DeLisle as Catwoman–you also have veteran voice actress Tara Strong ably replacing Arleen Sorkin as Harley Quinn, Peter MacNicol as the Mad Hatter, and Maurice LaMarche as Mr. Freeze. Then there’s Kevin Conroy, the Batvoice, and Mark Hamill in what is reportedly his final turn as the Joker. Hamill’s nearly 20-year run as the Joker is one of the most iconic voice performances in animation history, and comes just short of tying Heath Ledger’s performance in The Dark Knight for the most indelible take on the character. If he had to go out, though, at least he’s going out on top. Arkham City features some of Hamill’s finest work, the final act in a decades-long duet with Conroy. 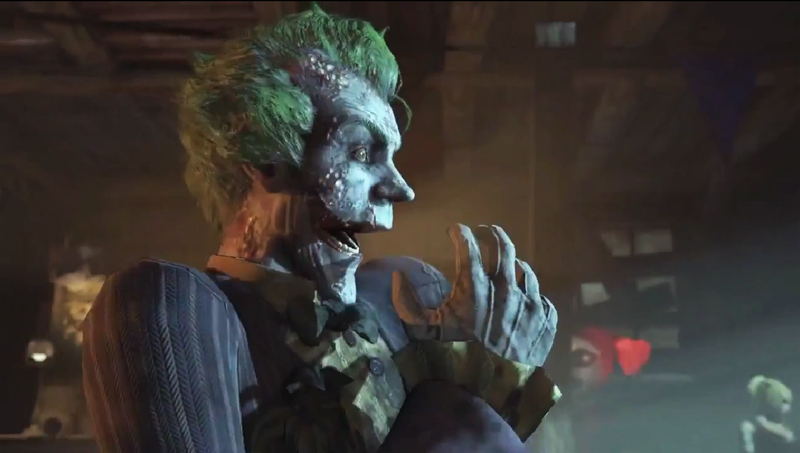 Arkham City‘s brutally efficient gameplay and intricate storyline, bolstered by Hamill’s impassioned performance, ultimately ask not just of Batman, but of you, dear gamer: Who has the last laugh? 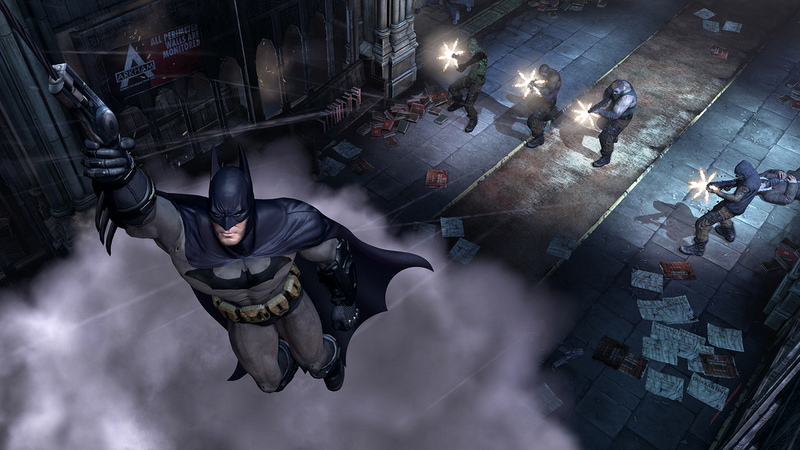 Batman: Arkham City is currently available for Xbox 360 and PlayStation 3, and will be available for PC on November 15 and the forthcoming Wii U some time in 2012. This review was written based on experiences with the Xbox 360 version. This entry was posted in Video Game Reviews and tagged activision, arkham asylum, arkham city, arleen sorkin, batman, batman arkham asylum, batman arkham city, batman the animated series, bruce wayne, caped crusader, catwoman, clown prince of crime, dark knight, games, goddamn batman, gotham city, grand theft auto, grand theft auto iv, grey delisle, harley quinn, heath ledger, hugo strange, joker, kevin conroy, league of assassins, mad hatter, mark hamill, maurice lamarche, mr freeze, nightwing, paul dini, pc, penguin, peter macnicol, playstation 3, quincy sharp, red dead redemption, robin, rockstar, rockstar games, rocksteady, rocksteady studios, spider-man, superhero, superheroes, tara strong, the dark knight, two face, video games, wii u, xbox 360. Bookmark the permalink. This is why I can’t write reviews anymore. I’m clearly outclassed in every way. Well done, sir. Respect.